Many companies and organisations are faced with conflicts at the workplace. Sudden changes such as a reorganisation, a change of strategy, innovation or the arrival of new colleagues may give rise to resistance and damaged working relationships – with absenteeism and declining turnover figures as a result. 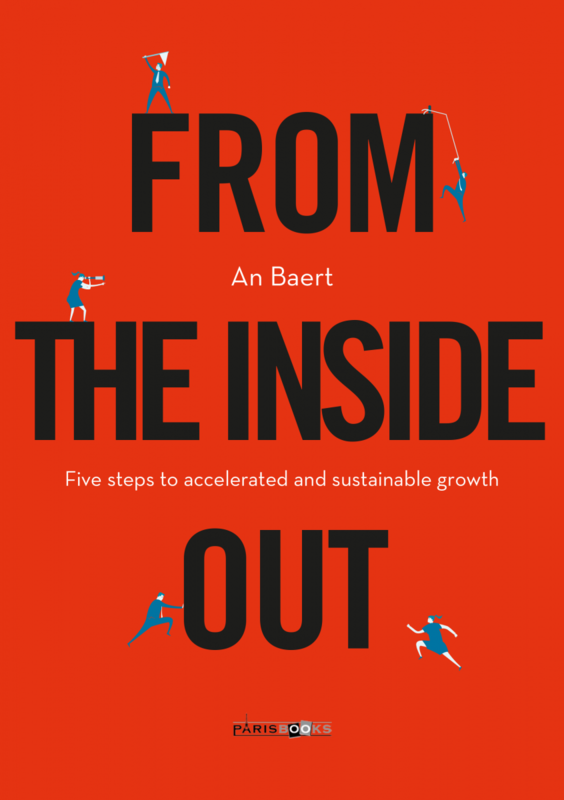 FROM THE INSIDE OUT provides a method to solve conflicts at the workplace and to repair damaged working relationships. Three principles are applied to review cooperation and see clearly and simply what you had overlooked up to now: the reason why the situation stagnated or went from bad to worse. The method helps you to gain insight into the structure of the problem, and to find leads to a solution so as to achieve accelerated and sustainable growth for the organisation. This practical book is structured as a step-by-step plan. The theory is supported by seven case examples, which run through the book as a common thread. Useful separators will enable you to map your own work environment in a clear and straightforward manner. When one or more principles are ignored or not respected, obstructions and impediments to growth ensue. When will this book appear in English? Please keep me posted! I shall use the link below to give my email address to be kept informed and posted on the translation plans.